How to buy Lotto 649 lottery ticket in Canada? One of the most popular lotteries in Canada is Lotto 649. This lotto is available for sale across Canada and each ticket costs $3 and has one set of numbers from 1 to 49 for the Main Jackpot Draw and a second, 10-digit set of numbers for the $1-million guaranteed prize draw. You can also play multiple Lotto 649 selections on one ticket or play Lotto 649 by Quick Pick or Selection Slip. You must be 18 years of age or older to purchase a lottery ticket. You must sign your lottery ticket as soon as you purchase it. For added protection, complete the information on the back of the ticket. As many as ten separate “lines” (sets of numbers) can be printed on one individual ticket, but the maximum number allowed varies between jurisdictions. For example, in the Western Canada Lottery Corporation (WCLC) area — Alberta, Saskatchewan, Manitoba, the Northwest Territories, Yukon, and Nunavut— no more than six lines are allowed. Before you leave the counter double check your tickets and find that the numbers on your lottery ticket should match the numbers you chose on your selection slip. Your ticket should be free of damage or defects. If your ticket seems unusually damaged, call the lottery support centre at 1-800-387-0098 (Ontario); 1-877-706-6789 (BCLC); 1-800-665-3313 (WCLC). The purchase cut-off time is 7:30 pm PT/8:30 pm MT/9:30 pm CT the evening of the draw for Lotto 6/49 tickets. Where to buy Lotto 649 lottery ticket in Canada? There are various ways to buy Lotto 649 lottery ticket in Canada. Buy your self by visiting your nearest lottery retailer. This depends on your location. You can buy the lottery ticket online. In Manitoba only, LOTTO 6/49, can be purchased online at PlayNow.com. The other Western Canada states of Alberta, Saskatchewan The Yukon Territory, the Northwest Territories and Nunavut have to purchase the ticket at their nearest retailer store. How to buy Lotto 649 lottery ticket online? As said above there are two online genuine sites to buy lotto 649 tickets. One is PlayNow.com and other PlayOLG.ca. According to your location select the site to buy ticket online. You can also download their apps on your mobile and get going. As a first step you need to register yourself at one of the above sites. It is very easy just visit the online site say for example playnow.com by typing the site url here as an example https://www.playnow.com on your web browser for PC or cell phone browser be it safari or chrome on your smartphones. Now the home page will open and you need to find on the right hand side at the top sign up and login in buttons. Click on log in if you are already registered and if not then click on sign up. You need to provide your name and contact information and fill a short form. Then you need to enter your credit card details to verify your age and location. Now login with your user name and password and get ready to buy lotto 649 ticket. You will find various lotteries to play . Here you choose lotto 649 and create your lottery ticket to buy. Next choose numbers to play this lotto in the grid box and select 6 numbers of your choice from 1 to 49. Now check again that you have filled in your right lucky numbers to play Lotto 649. Also tick box on email me if I win if you wish to know your lotto results by email. Remember the online sites offer Lottery Subscriptions that give you the opportunity to purchase future draws and pay as you go. Choose the number of draws you wish to play or choose ‘Never Miss a Draw’ to continue your Subscription until you choose to stop. When you create a Lottery Subscription for a Quick Pick Package, you are unable to Choose Numbers or change the amount of Extras. Also note tickets once purchased are not cancelled. Lotto 649 lottery jackpots start at $5 million and there is guaranteed $1 million prize to be won each and every draw – drawn only from tickets issued! 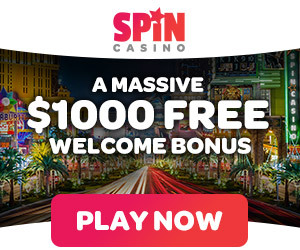 For just $3, you receive one six-number selection and one unique 10-digit Guaranteed Prize Draw selection. Win a Free Play for matching two main winning numbers! Add Wednesday or Saturday’s extra for a chance to win the $250,000 top prize or the $100,000 second prize! Lotto 6/49 draws are held every Wednesday and Saturday. Which Canadian lotteries offer Atlantic Tag and how to play with it? June 26, 2018 Kamal Kaur Comments Off on Which Canadian lotteries offer Atlantic Tag and how to play with it?